During an opioid overdose, the brain betrays the body. A single event—be it a rush of heroin (yes, heroin is classified as an opioid) or fentanyl or a semisynthetic prescription painkiller like oxycodone—sets off a series of repercussions: The drug travels from the bloodstream to the brain; it latches itself to opioid receptors; it suppresses the brain’s ability to control breathing rate; it blurs the brain’s recognition of dangerous carbon dioxide levels in the bloodstream; it causes the brain to cross wires in its communication with the diaphragm; and, finally, the drug causes failure in the lungs to breathe in and out as normal. The drug suffocates its user, systemically. Every day, more than 115 people in the United States die after overdosing on opioids. 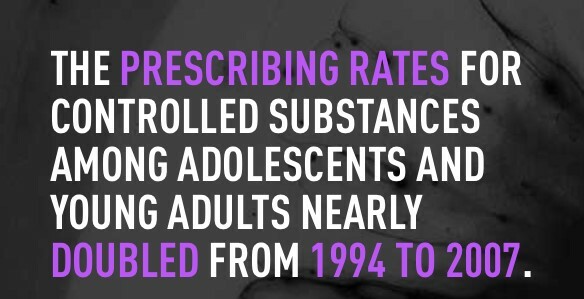 In the late 1990s, pharmaceutical companies reassured the medical community that patients would not become addicted to prescription opioid pain relievers, and healthcare providers began to prescribe them at greater rates. Not one mention of an alternative to medications in the first place. Maybe number 5 hints at the use of JBMFR, acupuncture, massage, meditation or even marijuana. But, it's not so clear is it. Why does our government dictate the type of pain relieving efforts? The truth? THEY DON’T!! It’s up to us, on the front lines to educate our clients that only 1% of herniated disks have radicular symptoms created by that disk. Or that 1% of that 1% require surgery. It’s up to us to step up our games every day and make ourselves better by 1% (see a theme here) so our patients can improve without the need for the medications that are causing so much internal destruction. I’m not saying medications don’t have their place, they do, and so do we. We are on the front lines to educate, console, work alongside and guide our patients/clients to a new pain free and positive outlook on their lives. Maria – big hugs from fam IPT to you. You will be missed and we can’t wait to see you again soon. Please, send up pictures of your travels and your family and you smile. Enter your e-mail below and never miss an update! © 2018 Integrated Physical Therapy· All rights reserved.